I live in the northeast US, and the past few weeks have been taken up by a whole lot of time moving snow and not knitting or even thinking about knitting. 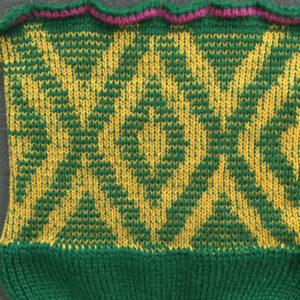 A raveler however, recently asked about pile knitting which got me contemplating knit fabrics again. I thought I would start a thread here on some of the techniques and possibilities involved, editing and adding further information as I can. 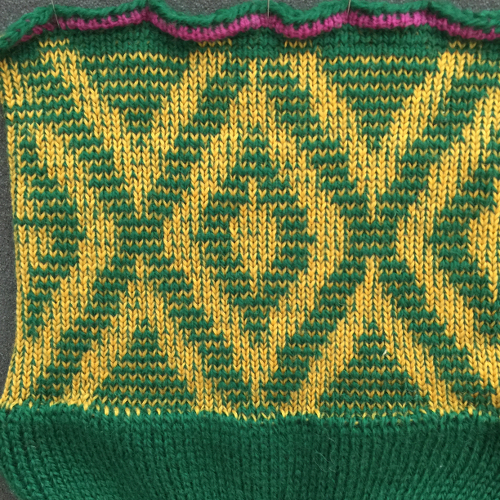 Pile knitting may be done on any machine. The quality of the fabric varies, depending on the method and yarns used. Loops are often created every other row, and “normally do not pull out”. They may be made either on the main bed, or on the ribber. Some of the techniques result in a much looser fabric than others. 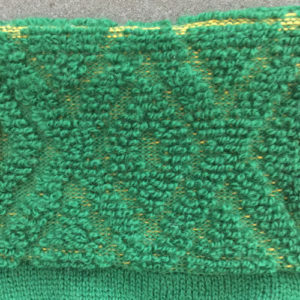 In those instances, using a ground yarn that will felt, and slightly felting the finished knit will make the fabric much more stable. If it is to be used in garments, by default, it is best to make those pieces larger than required, and to plan to use them in cut and sew use. Two weights of yarn are used: a lightweight yarn for the pile, and a fine yarn for the background. The usual set up is for every needle rib, half pitch . The finer yarn is threaded into the auxiliary feeder. 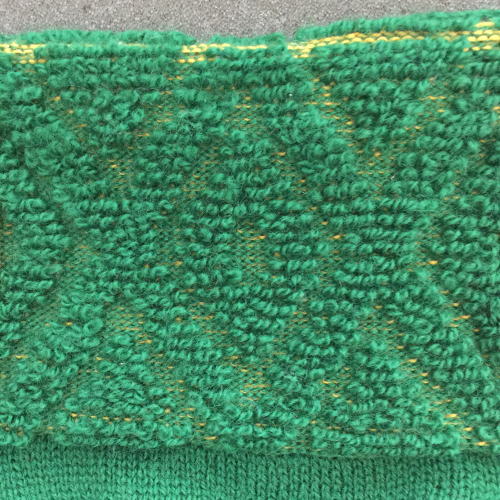 Kathleen Kinder was credited with first using FI designs for pile knitting, resulting in loops being created every row rather than every other. In the method, loops are still required to be dropped after every row. Cards with bold areas of each color are most suitable. Since the fabric has a tendency to spread horizontally, doubling the length may become necessary if the goal is to retain more of the motif shape. A natural follow up is to use double jacquard cards and color separations to achieve multiple color pile. A color changer is a must when using multiple colors. Loops will be formed every row here as well, may be dropped every row, or just before each time the color is changed.